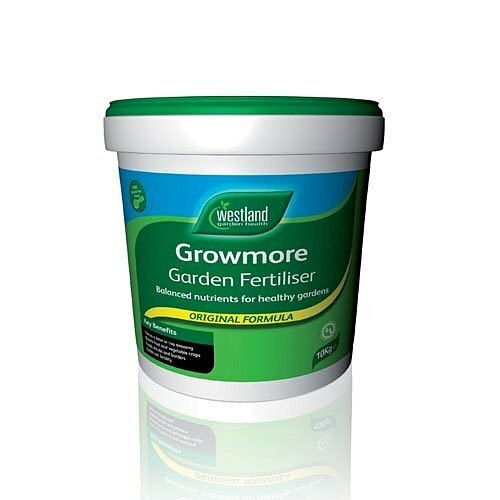 Growmore provides the three major plant nutrients in equal proportions, making it a superb general-purpose feed for use all around the garden. Its balance of nutrients ensures even stimulation of growth in all plant parts, meaning lots of fruit and flowers, abundant foliage and a strong root system. Fruit, Trees, Shrubs & Borders Apply 135g/sqm at base of established plant. Flowers Apply 70g/aqm to the soil surface and work in.